How many of you recall your mother telling you to eat your greens growing up? In fact, I am that cliché to my kids now, harping on them to eat their greens. So what is so important about these vegetables? I am glad you asked, one vitamin that is so important is folate, or known as folic acid. The Arizona Department of Health Services PowerMeA2Z site, which is designed especially with women in mind, educate women and offer a way for women to order a 100-day supply of FREE multivitamins with 400mcg folic acid. The Arizona Department of Health Services PowerMeA2Z site says that this B-vitamin is intricate in reducing the risk of neural tube defects in babies. Beyond that, folic acid is also used for other conditions commonly associated with folate deficiency, including ulcerative colitis, liver disease, alcoholism, and kidney dialysis. Who knew… but folic acid also makes your hair shine, your nails grow and your skin glow. Why should you take a multi-vitamin? 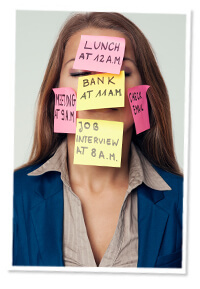 Busy lives mean we might lack a healthy diet and the vitamins our bodies need. Some of us just do not have the time, lifestyle and or taste for many vegetables to obtain the proper vitamins and nutrients. Some foods are so processed these days that they have the vitamins and minerals we need stripped out. So what can we do to supplement for missing these vitamins on our plates and in our diets? Take a vitamin. Vitamins are an easy way to give our bodies what they need when we are lacking. The CDC published a report in 2012 indicating that women ages 18-45 are at the greatest risk for vitamin deficiencies. The Arizona Department of Health Services knows how important it is for women, especially those in their childbearing years, to take vitamins. They created a website called PowerMeA2Z to educate women and as a way for women to order a 100-day supply of FREE multivitamins with 400mcg folic acid after taking a quick quiz. Sound too good to be true? Just ask the thousands of Arizona women that have ordered their free vitamins over the past two years. How can you learn more about taking better care of your health? As an Arizona resident, I have found a plethora of information, support and services available to women, children and families in and around our state. The Arizona Department of Health Services and their website PowerMeA2Z , which caters specifically to the health and wellness of women ages 18-45, has a lot of women’s health information and is providing women with a 100-day supply of multi-vitamins with folic acid just by visiting the site PowerMe A2Z. Yes. Women who have been taking the free vitamins have shared with The Arizona Department of Health Services that their hair is shinier, their skin clearer, and their nails stronger. They also work in ways we cannot see but can feel on a daily basis. Ladies of Arizona, we have no excuse to not take better care of our health and get the vitamins our bodies need. Vitamins help keep stress, anxiety, and depression away – the folic acid in your women’s daily vitamins helps regulate your mood and make sure your brain has what it needs to manufacture serotonin, which is what helps you feel happy and calm. Start feeling the difference today by visiting https://www.powermea2z.org/ to find out more about how women can start taking better care of themselves and receive their free PowerPack with a 100-day supply of vitamins with folic acid and other great health information. Read more about women’s health and wellness, healthy relationships, growing your family and more through the Arizona Department of Health Services site PowerMe A2Z. Arizona is committed to your health, you should be too! This is a sponsored post, all content here within is my own and the opinions are my own. Some information was provided on behalf of the ADHS website and the CDC independently for folic acid and multi-vitamin awareness. Very informative, and I love that you can recieve 100 free vitamin pills. They can be quite expensive. Thank you kindly. Thank you for the article (I’ve saved it to Pinterest) and helpful chart! It’s been many years since I took a nutrition course in college, and this is a nice refresher. I do take a multivitamin every morning, and it helps me feel better just knowing that I am working towards keeping myself well. I just recently learned from my Doctor that I need to take a multi-vitamin. I thought I was getting everything I needed because I eat healthy. Guess not! Thanks for the review and all the information. Wonderful for women living in Arizona…wish all states offered this. Vitamins are important but not all are created equal although I’m sure Arizona chose wisely. Oh thank you for all the great information on vitamins! I have wanted to start some…but have not yet. This was very helpful to know which are ones that would benefit me and where to start! I have taken these for my pregnancies. This is a very good article. I should take more vitamins. Thank you for this article. My Dr. has me on Prenatal vitamins because they are the highest in Folic Acid so I will have to ask about these for another option. My sister in-law will love to hear about this. Thanks for the great review, as I will pass it on. I wonder why they only offer this to Arizona residents. I would be interested if they offered it elsewhere! 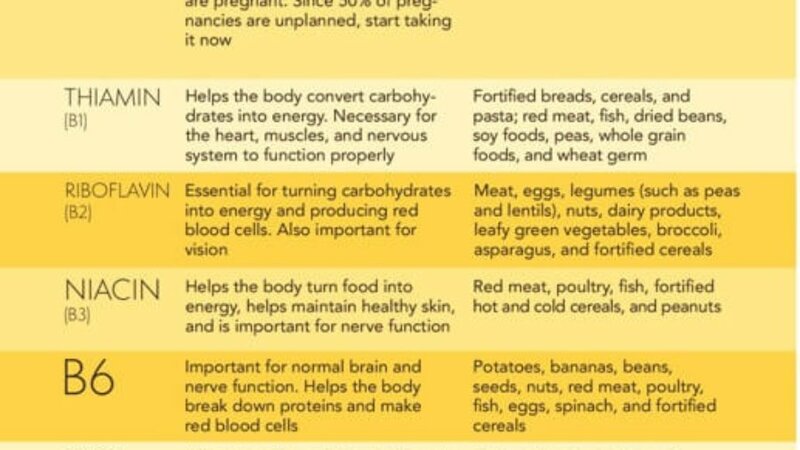 I’ve actually heard that synthetic folate (folic acid) can be detrimental to your health if taken long term. Have you ever heard about that? You can’t really trust anything anymore. Thanks for the great info , i really should be taking these as well , i’m gonna put it on my Grocery list ! I think every women out there needs to take good care of themselves and taking care of themselves means taking the right vitamins that going to benefit them.